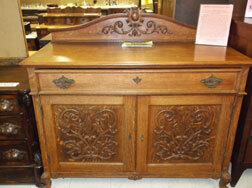 Solid Oak Buffet with carved doors and gallery, 2 drawers over one with double doors below. 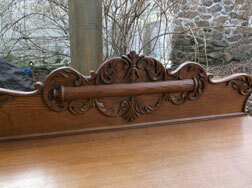 Pairs very nicely with 02-121 Triple Bow China shown in Dining Rooms. I would package the pair at a good discount. 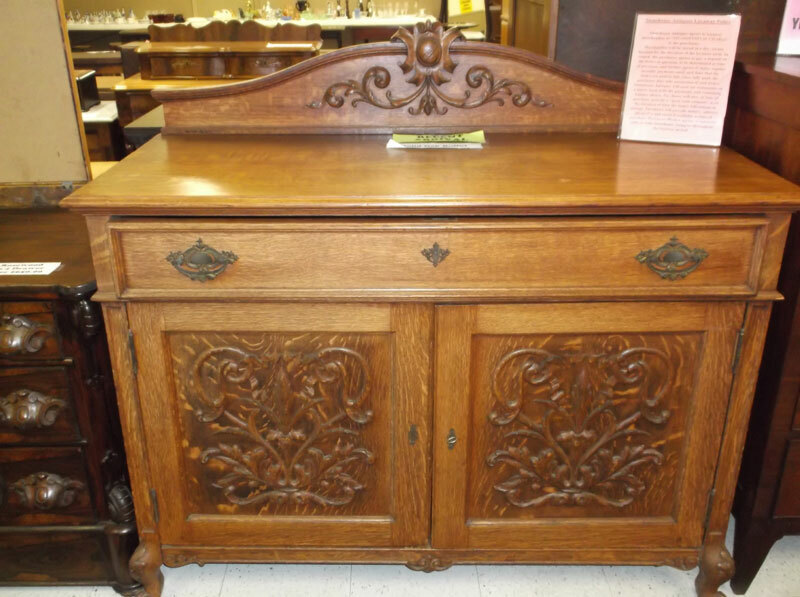 Circa 1890, large solid oak buffet with carved gallery. Large upper drawer, 2 doors under w/shelf inside. 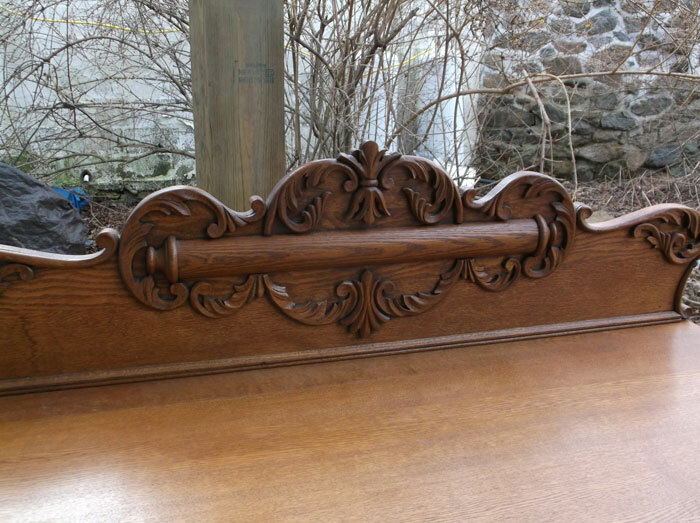 Good golden oak color and finish. Loaded with storage possibilities!! Solid Oak, curved glass doors, mirrored gallery above, applied carving on lower door. 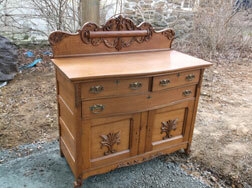 Very formal, serpentine front w/crotch mahogany drawer faces. Line inlays with inlaid decorated legs.